Security Metrics is a global merchant data security and compliance company with their head quarters in Utah, North America. Founded in 2000 its goal was to test internet security and promote website safety and is now a security assessor for Visa, MasterCard and American Express. Security Metrics offers a range of ways to ensure that payment cards are handled in way that reduces fraud and identity theft when used on-line. It carries out a quarterly PCI (Payment Card Industry) audit of transactions where payment cards have been used or data stored. Security Metrics carry out onsite security checks, every quarter. Basically, they try and break, to hack etailers websites at great expense to the etailer. Etailers are also obliged to provide regular updates on transactions. 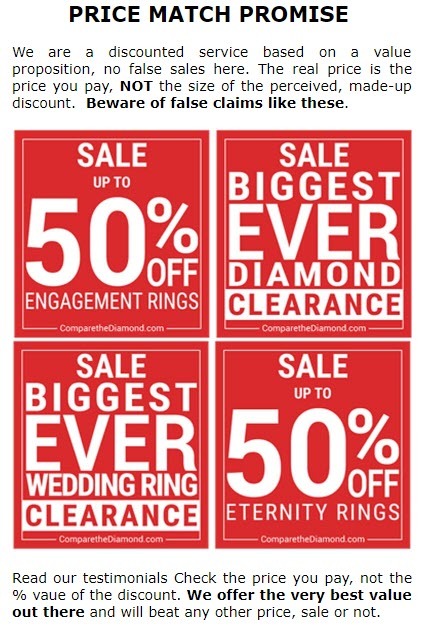 ComparetheDiamond.com (formerly diamondgeezer.com) do not hold records of credit cards on their site or on the their premises, in fact ComparetheDiamond.com (formerly diamondgeezer.com) do not hold records of credit cards, period. How does this impact on me? By using a Security Metrics ComparetheDiamond.com (formerly diamondgeezer.com) make sure that you know that your payment transaction is safe and you reduce the chance of theft or fraud. It also ensures that your personal data is maintained safely and with no risk of identity theft. The standards required by the major credit card companies are what drive the Security Metrics products.